New York: Simon and Schuster, 1970. First Edition. Hardcover. Like New. First trade edition, first printing. 141 pp. Purple cloth gilt and metallic purple lettering. Fine in unclipped dust jacket with a little rubbing, else Fine. 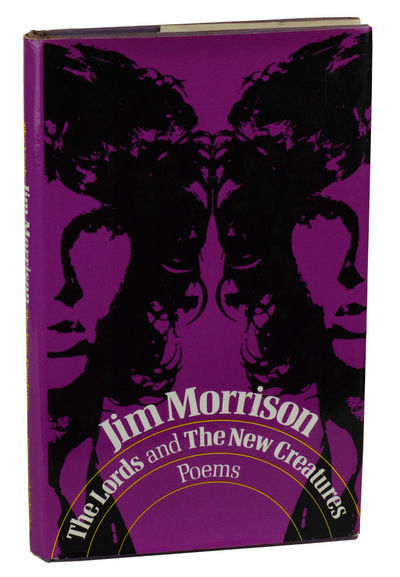 Morrison's only published book during his lifetime, a collection of mystical poems with a recurring cinema motif. As the author bio on the rear flap notes (in lieu of mentioning his fronting The Doors), he had studied cinema at UCLA and someday hoped to be a film director.